The Miami Beach Slip and Fall Attorneys at the Wolfson Law Firm have been helping slip and fall accident injury victims in South Florida since 1963. They can help you today if you were injured in a slip and fall on Miami Beach. Just call (305) 285-1115 for a free consultation. Miami Beach is a famous and desired destination for many Americans as well as international visitors. Tourists come from Europe, South American and Asia and other locations. Many come for the beach, lifestyle, nightlife, dining and the shopping. When tourists and locals visit a commercial establishment such as a restaurant, retail store, nightclub or hotel the owners of those premises are responsible to provide a safe environment for the customers. They are also responsible to maintain the commercial premises in a safe condition. Think about it like an unspoken promise. The restaurant owner says “Come in. Look around. Enjoy the experience. Buy our food and drinks. Don’t worry about the floor. It’s clean and we will keep it that way. No need for you to watch every step you take. We got this.” The same unspoken promise goes for the retail store. “Look at our merchandise. See our displays. Let us help you find the perfect item to buy. Don’t worry. You are safe here”. But what happens when someone breaks their promise and some innocent gets harmed? You know that if you make a promise then you better keep it or else you will be responsible for the harms and losses that may follow. That is where our Miami Beach Slip and Fall Lawyers can help. We can make sure the responsible party is held accountable for your medical bills, lost wages and pain and suffering. A serious injury from a criminal attack in a hotel where security should have been in place. If you were hurt on Miami Beach and you aren’t sure if you have a case, then the best way to find out for sure is to call the Miami Beach Serious Injury Attorneys at the Wolfson Law Firm. Our personal injury lawyers can help you if you were injured in a slip and fall, trip and fall or premises liability accident on Alton Road, Washington Avenue, Collins Avenue, Lincoln Road, Michigan Avenue or Indian Creek Drive. We can tell you what to do after a slip and fall accident. The Miami Personal Injury Attorneys at the Wolfson Law Firm have been helping injured people for over 60 years. Our clients come from the communities of Miami Beach and Miami as well as other countries such as Brazil, Spain, Venezuela, England, Colombia, Germany, Japan, Argentina, China and a wide variety of other countries. You can review our qualifications and our results. Jonah Wolfson is a Miami Beach resident and a former Miami Beach City Commissioner where he served his community for 8 years. 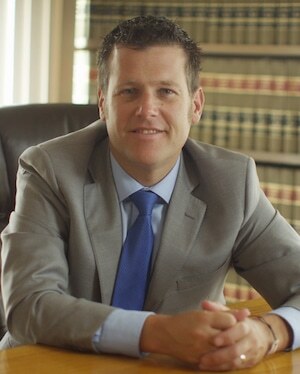 He is also a Miami Beach Slip and Fall Attorney. Jonah is also a bilingual personal injury lawyer in Miami Beach and is available right now to speak to you in English or en Espanol at (305) 285-1115. You can see Jonah Wolfson speak on a variety of subjects in English or en Espanol on our video pages. The Miami Beach Slip and Fall Injury Lawyers at the Wolfson Law Firm have proudly help people injured at the Miami International Airport, Fontainebleau, Allapattah, The Roads, Tamiami, Flagami, South Beach, Mid Beach, North Beach and many other neighborhood sand communities throughout South Florida. Call us today for a free consultation at (305) 285-1115.